Nilfisk offers cleaning systems which are adapted to the specific floors to be cleaned and the type of dirt to be removed. We have two scrubbing systems: Disc (brush or pad) or cylindrical (brush only). 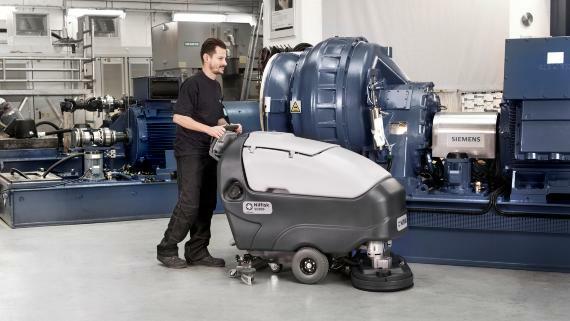 The disc deck can be equipped with a brush or pad and has a high cleaning performance due to the larger contact surface providing a higher mechanical cleaning.